210 pages | 48 B/W Illus. 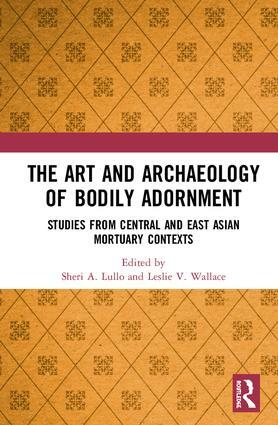 The Art and Archaeology of Bodily Adornment examines the significance of adornment to the shaping of identity in mortuary contexts within Central and East Asia, and brings these perspectives into dialogue with current scholarship in other worldwide regions. Adornment and dress are well-established fields of study for the ancient world, particularly with regard to Europe and the Americas. Often left out of this growing discourse are contributions from scholars of Central and East Asia. The mortuary contexts of focus in this volume represent unique sites and events where identity was visualized, and often manipulated and negotiated, through material objects and their placement on and about the deceased body. Authors examine ornaments, jewelry, clothing, and hairstyles to address questions of identity construction regarding dimensions such as gender, social and political status, and transcultural exchange from burials of pre- and early historical archaeological sites in Central Asia, China, Korea, and Japan. In both breadth and depth, it will be of interest to students and scholars interested in the archaeology, art, and history of Central and East Asia, as well as anyone interested in the general study of dress and adornment. Sheri A. Lullo is an Assistant Professor of Asian art history in the Department of Visual Arts at Union College in Schenectady, NY. Her research focuses on toiletries and clothing, as well as imagery of hairstyles and dress, in archaeological contexts of Warring States through Han dynasty China (5th c. BCE-3rd c. CE). Leslie V. Wallace is an Assistant Professor at Coastal Carolina University where she specializes in the art and archaeology of early China. Her most recent publication is "The Early History of Falconry in China and the Question of Its Origins," In Raptor and Human: Falconry and Bird Symbolism throughout the Millennia on a Global Scale (2018).